One October morning in 1932, Vicente Sorolla entered the white house on the hill and was never seen again. Now, Detective Dori Orihuela witnesses his brutal murder in her nightmares. Drawn to this tough but tender woman, Vicente materializes out of the butler’s pantry and asks her to find his lost love, Anna. Dori wonders if she’s not only about to lose her badge, but also her sanity. With a promise to Vicente, Dori may solve a forgotten Prohibition-era murder. Or she may exhume secrets someone died to protect. The first Dori O. Paranormal Mystery audiobook takes us back to the end of Prohibition and into the mysteries of the heart. 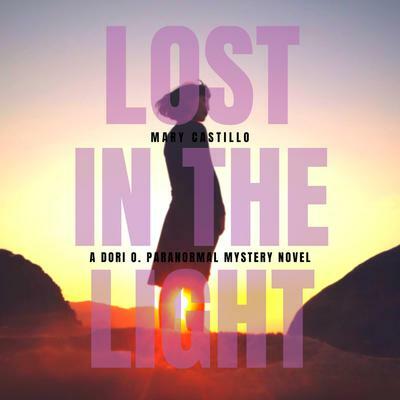 A modern gothic mystery, Lost in the Light is a tale woven with suspense, ghosts, and romance. Nominated for the Daphne du Maurier Award for Excellence in Paranormal Mystery/Suspense. Fans of Susanna Kearsley, Simone St. James, Diana Gabaldon, Mary Stewart, Kate Morton, and Victoria Holt will want to curl up with Dori on her journey to love, past and present. WARNING: May keep you up late at night turning the pages, or inspire you to sleep with the lights on! Lost in the Light can be read a stand-alone novel, but is the first novel in the Dori O. Paranormal Mystery Series.